The flagship scheme for rural employment generation, the Mahatma Gandhi National Rural Employment Guarantee Act (MGNREGA), is facing severe fund crunch this year, resulting in unpaid dues of Rs 3,066 crore in wage payments in 19 states. Around 87 per cent of the scheme’s budget for this year has already by exhausted. A civil society group called Narega sangharsh Morcha (NSM) has presented government data to show that wage payments in 19 states have been frozen. “Since August 31, no wage payments have been made in Haryana, since the first week of September, no wage payments have been made in Karnataka and West Bengal, and since a month no wage payments have been made in Kerala and Jharkhand, among other states,” says says Ashish Ranjan, a Bihar-based NREGA activist. Payments are also pending in Bihar, Assam, Chhattisgarh, Gujarat, Himachal Pradesh, Jharkhand, Madhya Pradesh, Maharashtra, Odisha, Punjab, Rajasthan, Tamil Nadu and Tripura (see Table 1). Even after a directive by the Supreme Court to roll out payments, the government has not released the wages. While there is legal provision to compensate for delayed payments, it has never been calculated as per the law. According to calculation, government needed to pay around Rs 34.7 crore as compensation for delayed payment in its first six months but it had paid only Rs 3.4 crore. Last year, as per lawful calculation, the compensation was Rs 1,200 crore, but it was not paid. 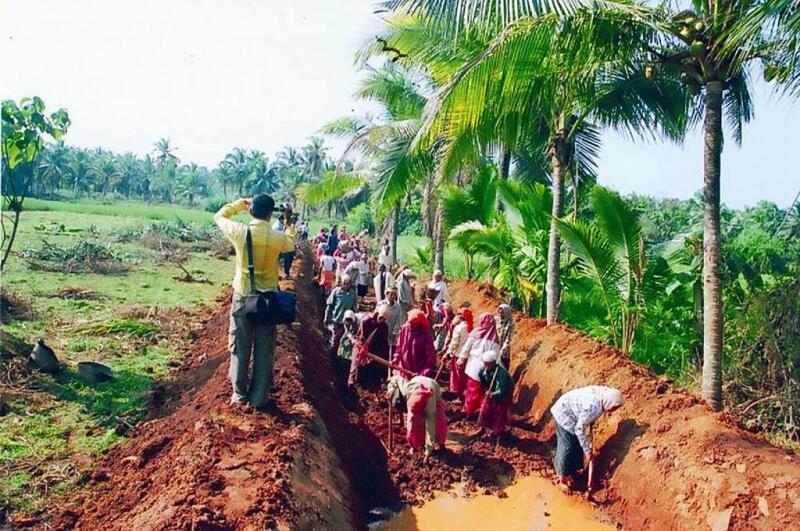 MGNREGA is an employment guarantee scheme and provides unskilled work for at least 100 days to rural families. However, delay in wage payment and scarcity of funds has marred the scheme since its inception, leading to unmet demands among benefiters. The problems have escalated with time. “Wage payments worth at least Rs 3,066 crores are pending due to lapses by the Central and state governments and insufficiency of funds allotted for the programme; a problem that recurs year after year and is unlikely to get resolved soon,” says Ashish Ranjan, a Bihar-based MGNREGA activist. Last month, about a thousand workers and their supporters from thirteen states protested in Delhi demanding timely wage payments, among other things. The delay or holding of payments began in March this year, and the unpaid amount has increased over time, as per the NSM. “At present, nine states have a negative balance, and the Central government has already exhausted 87 per cent of funds available. The demand for work will pick up now, post the monsoons. The Supreme Court as part of a Public Interest Litigation will hear this matter on December 5,” Ranjan adds. Only motive of every government to cut cost of social welfare programs or don't want to spend in rural areas. There is economic logic that it is unwise to spend money where you don't get return.